Anne Midgette will be honored at the New York Opera Fest Kickoff event, Lady Swanwhite at Opera Tampa, The passing of J.D. McClatchy, Opera America announces $1.2 Million in Innovation Grants, The Wake World wins Best New Opera from the Music Critics Association of America, David Cote Songs at Weill Hall and Fest Tix discounts are available for the New York Opera Fest. Opera Tampa will premiere Anton Coppola’s fairytale opera “Lady Swanwhite.” this coming November at the Straz Center. We are sad to report that Librettist J.D. McClatchy has passed away. He was known for being librettist of Ned Rorem’s Our Town, Tobias Picker’s Emmeline, and Julie Taymore’s english language production of The Magic Flute. He was also the librettist of Michael Dellaira’s The Secret Agent which was featured on our very first show. The Wake World by David Hertzberg won Best New Opera from The Music Critics Association of America. To find out more about this innovative production which was performed in the Barnes Foundation Art Museum in Phildelphia, David and Director R.B. 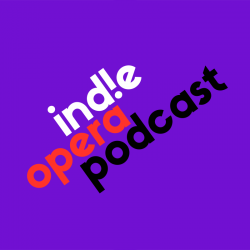 Schlater were our guests on episode 41 of the indie opera podcast. Spring Songs for tenor and piano.